Quoddy Narrows, a strait between Canada and the United States, since 1858. 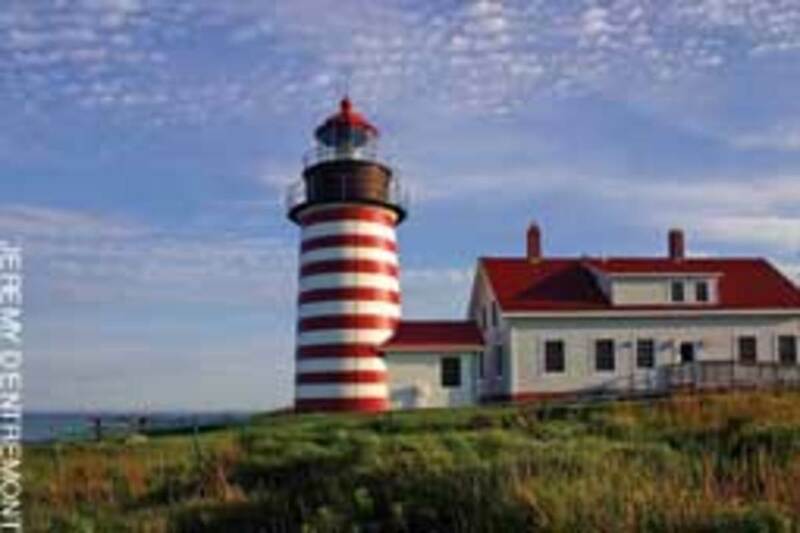 Lubec is the easternmost point of the contiguous 48 states. Since 2005 the non-profit group Clean the Bay has removed more than 1,450 tons of debris from Rhode Island shores and waterways, and it expects to remove about 200 tons this season. "We removed dozens of boats in 2010 and expect there will be plenty more this year," says Capt. Joe Mariani, who skippers one of the group&apos;s two vessels. Clean the Bay operates a 56-foot mechanized landing craft with a bow ramp and a specialized track for loading and unloading, stern winches and a 3-ton crane. 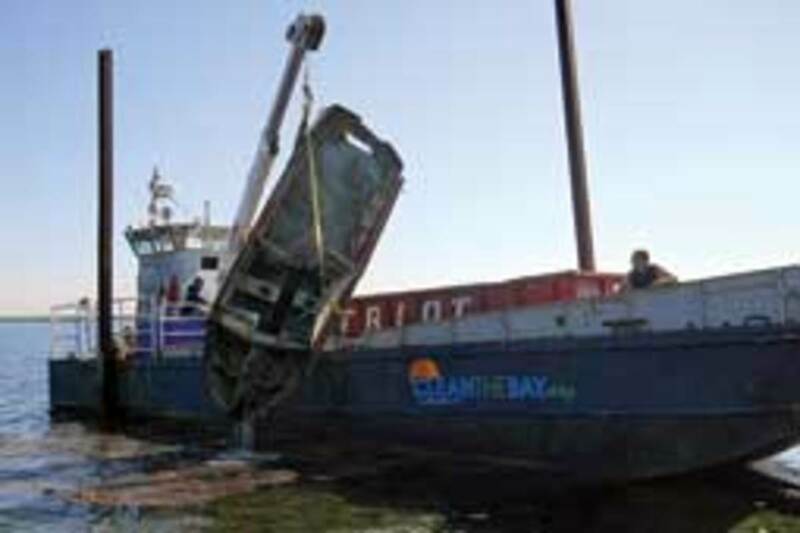 Its other vessel is a 28-foot aluminum landing craft for removing debris from shoreline points. 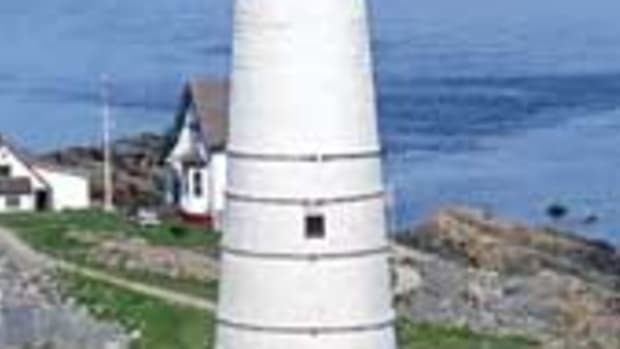 The areas of focus for the coming season include Mount Hope Bay, Block Island and Little Narragansett Bay up through Connecticut&apos;s Mystic River; and the Fall River and Taunton River areas in Massachusetts. 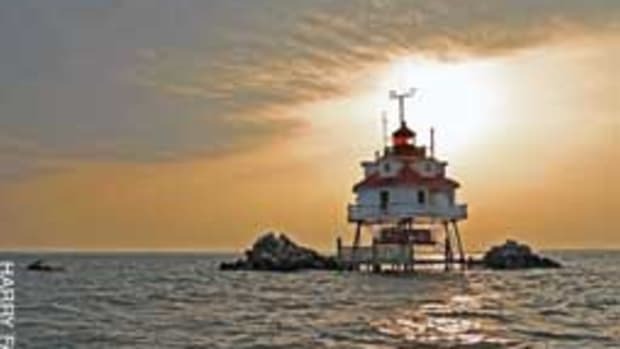 Despite a reward that has reached $30,500, no one has come forward with information about those responsible for attempting to poach 10 tons of rockfish, or striped bass, off Maryland&apos;s Bloody Point Light in Chesapeake Bay. The Maryland Department of Natural Resources set aside $5,000 from the sale of the poached fish for the reward. The agency&apos;s partners have put up an additional $17,500, including a $10,000 donation from the Chesapeake BaySavers. Two people who want to remain anonymous donated $8,000 to further encourage those with information to come forward. "The fact that these private citizens are joining our effort to identify these criminals is testament to the anger being felt across our state and along the East Coast," Gov. Martin O&apos;Malley says in a statement. "We - as Marylanders - have invested time, effort and money toward revitalizing the striped bass population, and stealing from this fishery is stealing from all us." On Feb. 1 Natural Resources Police confiscated the first of four illegally anchored gill nets - this one near Bloody Point Light south of Kent Island - that collectively held more than 10 tons of striped bass. On Feb. 11 police located two 900-yard strings of illegal gill nets in Eastern Bay. 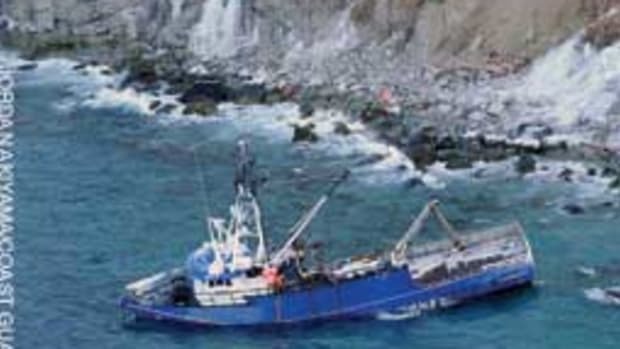 The nets are believed to have been set after the Feb. 4 shutdown of the fishery, when the commercial gill net quota for February, which is 354,318 pounds, was reached. Anyone with information should contact the Maryland Natural Resources Police at (800) 635-6124. 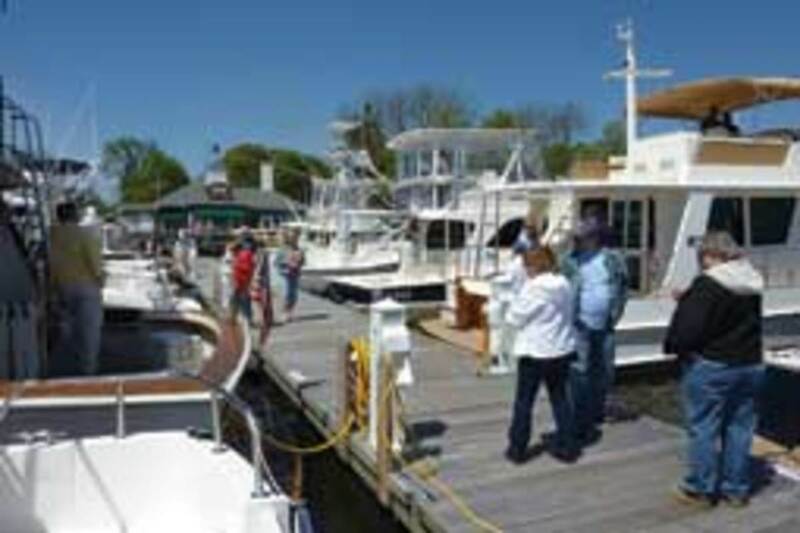 The second annual Spring Boat Show on the Connecticut River in Essex, Conn., runs from 10 a.m. to 5 p.m. April 29 through May 1 at the Brewer Dauntless Marina. "The success of last year&apos;s show for both the brokers and the visitors bodes well for our second event," says Douglas Domenie, vice president and general manager of Brewer Dauntless Shipyard. "The five local brokers/dealers participating are excited about returning to the show, and visitors seem to enjoy the small, personalized atmosphere the show provides." About 50 boats - sail and power, new and used - from 25 to 60 feet are expected. Admission is free. Soundings Publications is the exclusive media sponsor for the Spring Boat Show. For information, e-mail info@byy.com. 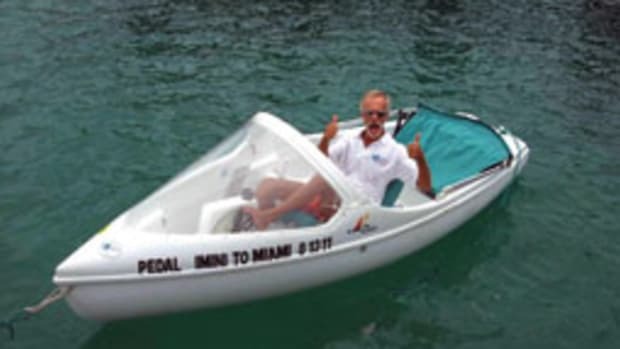 The Coast Guard and Coast Guard Auxiliary in Key West are launching Operation Paddle Smart, a campaign to get paddlers to mark their kayaks and other craft with a sticker displaying their name and contact information. Crews sometimes begin search-and-rescue efforts only to find that an unmanned kayak simply went adrift. "With the ability to contact the small-watercraft owners, Coast Guard and partner agency responders can cut back on the number of unnecessary risks placed on search-and-rescue operators and reduce the money and resources expended," says Capt. Pat DeQuattro, commander of Coast Guard Sector Key West. A recreational boat&apos;s registration or hull identification number can be used to identify the owner, but kayaks and other paddle boats often don&apos;t include identifiers. The remains of the 13,500-square-foot Stinson Seafood sardine cannery - closed in 2001 - have been demolished, and a new boatbuilding and service yard is taking shape on the site in Belfast. Front Street Shipyard, a full-service facility that will cater to the large-yacht market, is expected to open in July. 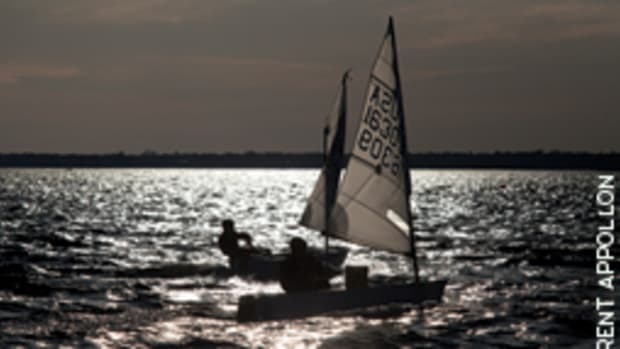 Floats with water and electricity for 10 to 12 boats are initially planned, with dockage for yachts to 180 feet to come as development continues. The yard will offer refits, restorations, and custom wood and composite new-yacht construction. Turner is joined in the venture by Taylor Allen, owner of Rockport Marine; Steve White, owner of Brooklin Boat Yard; and Kenneth Priest, president of Kenway Corp. 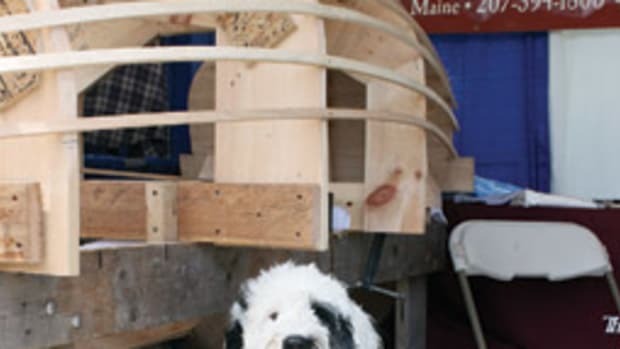 The 12 Meter Easterner will be refitted at the Brooklin (Maine) Boat Yard for a Rhode Island non-profit group that helps children and adults with disabilities learn to sail. 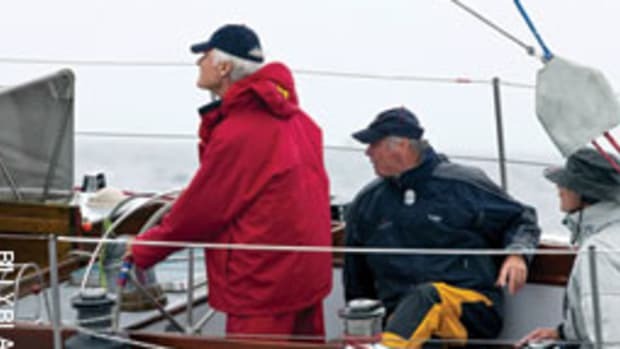 Arthur Shlossman, who had extensive restoration work done to the former America&apos;s Cup yacht, donated Easterner to Newport-based Sail to Prevail in November 2008. The refit at the Brooklin yard will include replacing the horn timber, stripping and refinishing the varnished topsides, and possibly replacing the mast step to accommodate a new spar. Work will begin this summer, and Easterner is expected to be back in the water in the summer of 2012. 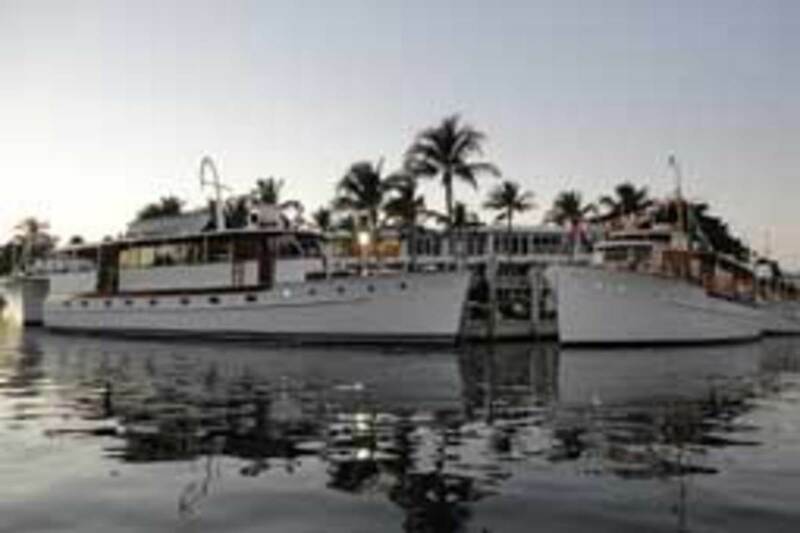 Easterner was designed by C. Raymond Hunt and built by the Graves Yacht Yard in Marblehead, Mass. Launched in 1958, she was a Cup contender in &apos;58, &apos;62 and &apos;64. She was later sold and spent 28 years on the West Coast, sailing and racing under the name Newsboy. Trumpy yachts were considered the pinnacle in design and elegance, and designer/ builder John Trumpy was considered a master of his craft. 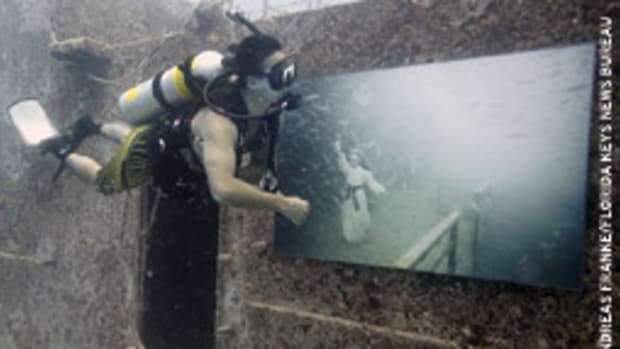 Fewer than 60 of the 448 Trumpys built between 1910 and 1973 remain, and credit for the survival of many can go to James Moores, whose Moores Marine in Riviera Beach, Fla., has restored more than 20 of the classics. To celebrate his 25th year in business, Moores organized a race between two Trumpys from different periods - the 63-foot 1939 Washingtonian and Moores&apos; personal yacht, the 61-foot 1947 Aurora II. "I always wanted to know which of these designs would prevail - the prewar Trumpy or the more modern design," says Moores. "And besides, it&apos;s a good reason to have fun." The duel was scheduled for March 27 on the Intracoastal Waterway in Riviera Beach off Peanut Island - four miles with the current and four miles back against it. Washingtonian and Aurora II both have their original 471 GM diesels. "Since they have their original engines, we&apos;re going to limit the rpm to 1,650, which is about their maximum efficiency," Moores says. Moores Marine is reconstructing the 93-foot Honey Fitz, the eighth presidential yacht, which was featured in the April issue of Soundings.